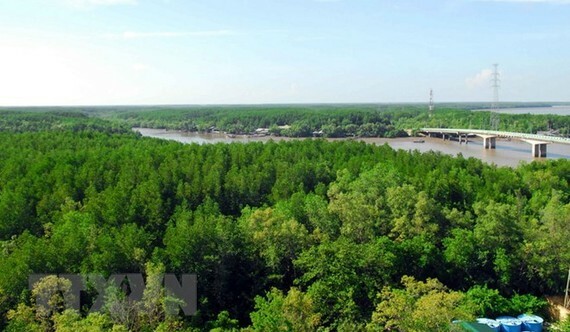 Vietnam planted a total 12,385ha of coastal forest between 2015-2017 via climate change response and coastal forest protection project for 2015-2020, which raised the coastal forest coverage from 16.9 percent in 2014 to 17 percent last year. However, the figure has fulfilled only 22 percent of the target set by the project, which aims to grow 46,058ha of forest by 2020. Given the pressing time scale, the Ministry of Agriculture and Rural Development (MARD) proposed that Prime Minister Nguyen Xuan Phuc adjust the forestation target of the project down to 25,085ha. The MARD urged relevant ministries and agencies to pour more investment into projects under the target programme of sustainable forest development during 2016-2020 and the target programme of climate change response and green growth for 2016-2020. The ministry called for the early completion of investment and capital allocation procedures for the projects, and greater efforts in mobilising official development assistance (ODA) and capital from businesses, organisations, households, and individuals for forest protection and development. Besides, localities were also asked to closely monitor the shift of coastal forests to serve other purposes. Statistics provided by the provinces show that as of December 2017, the total area of coastal forests and forestry land nationwide was 469,170ha, including 311,551ha covered by forests.